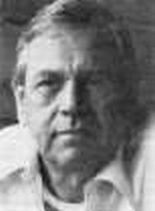 Eustace Clarence Mullins (born 1923 in Virginia ) was an American political writer, author and biographer. A friend of American poet and artist Ezra Pound and the author of his only authorized biography, Mullins has written a number of books on political and racial subjects, many of which are called anti-Semitic. He was a veteran of the USAF, with 38 months of active service during World War II. During Ezra Pound's period of incarceration in a mental institution following his arrest for making pro-Axis radio broadcasts on behalf of the Benito Mussolini government during World War II, Mullins was a regular visitor to him; he wrote about these visits in his book This Difficult Individual, Ezra Pound. Mullins' books include several critiques of the United States banking system. In a 1952 book, Secrets of the Federal Reserve, Mullins blamed Paul Warburg, Bernard Baruch, and other American Jews for drowning Americans in debt. According to Mullins, The Federal Reserve Act of 1913 put the nation's banking reserves in the hands of the "Jewish International Bankers" for the purpose of carrying out a plan for world dictatorship. The German edition of the book was burned in West Germany in 1955. It was the first book publicly burned in West Germany since the defeat of the Nazi government. Mullins' book A Writ for Martyrs is largely a verbatim transcript of Mullins' own FBI file obtained under the Freedom of Information Act. Mullins' book The World Order, which is about an alleged Illuminati conspiracy, was cited as a reference by Pat Robertson in his 1991 book The New World Order. Mullins is also the author of a number of tracts including "Jewish Television: Sick Sick Sick", "The Lindbergh Murders: Hauptmann Was Innocent", "Why General Patton Was Murdered", and "The ADL/FBI Conspiracy Exposed". In a 1955 article entitled, "Jews mass poison American children", Mullins claimed that the polio vaccine, invented by Jonas Salk, was a poison because it contains live germs. Mullins publicized, and probably created, the forgery A Racial Program for the Twentieth Century, which supposedly revealed a Jewish/Communist plot against white Americans. Mullins denied having written this document. As of 2005 Eustace Mullins was a member of the Southeast Bureau editorial staff of the populist and nationalist newspaper American Free Press published by the National News Reporting Company of Washington, DC, run by former staff of Spotlight newspaper. He was also a contributing editor to The Barnes Review. This HTML Edition of "Secrets of the Federal Reserve by Eustace Mullins, as controversial as it may seem to some, is placed on the web as a valid and well researched viewpoint of the history of U.S. and World Banking manipulations, and to keep it from disappearing,.